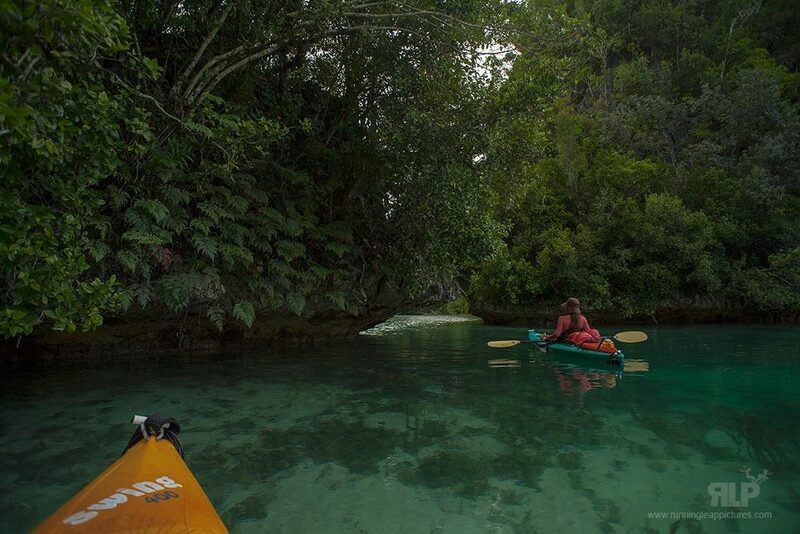 PRISTINE PALAU - Filming, kayaking and camping Palau's rock islands. 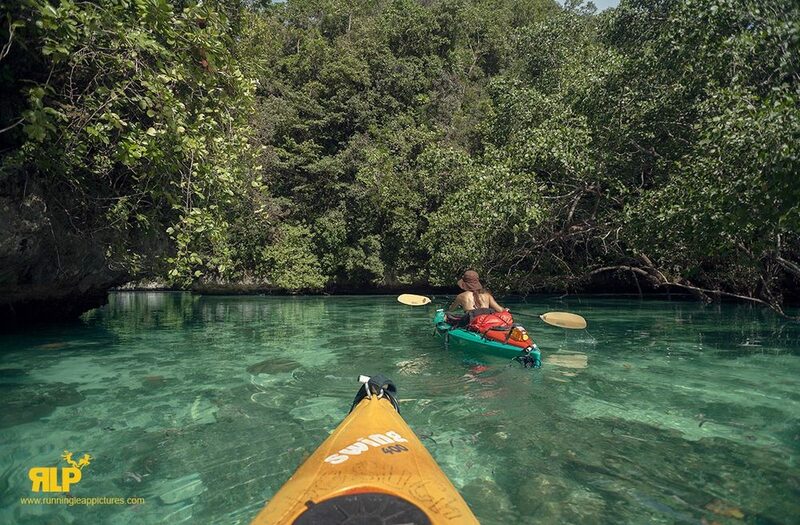 In 2014, we had the amazing opportunity to visit Palau in Micronesia to explore, film and photograph its stunning rock islands for 8 days on sea kayaks. What originally attracted us to Palau was its world famous Jellyfish lake, the only lake in the world with acclimatized Jellyfish to life in fresh water (they also lost the ability to sting due to lack of predators). The rock islands, however, revealed to us more than we could have imagined: coral reef walls that were easily accessible without the need for scuba equipment, pelagic wildlife, such as sharks, sharing the shallow areas of the lagoons with exotic and colourful marine life, derelicts, sunken ships and machineries that quietly tell stories of World War 2, and stunning night skies filled with stars that we have never observed anywhere else. We travelled to the Rock Islands on assignment to film with Rhino Camera Gear's 2' Carbon-core video slider. We also went there to explore its beauty, and as a personal challenge to determine if we could endure 10-12 hour days on kayaks, camp on remote tiny islands by ourselves with little to no facilities, brave the isolation and the potential risks of: encounter with saltwater crocodiles, sharks, dangerous jellyfish, tropical storms, rip currents, contact with illegal fishermen, low provisions, and the very real possibility to get lost or drift out to the open sea. Info: Palau is in the Western Pacific Ocean, and it has 16 states with their own flags. It was originally settled by migrants from the Philippines approximately 3000 years ago, since then, it has been colonized, sold, conquered and governed by Spain, Germany, Japan and the U.S. In 1994, it gained its sovereignty under a compact of free association with the U.S. So currently, Palau uses USD for currency. The Island's culture is a mix of Japanese, Filipino, Austronesian, Micronesian and Melanesian. 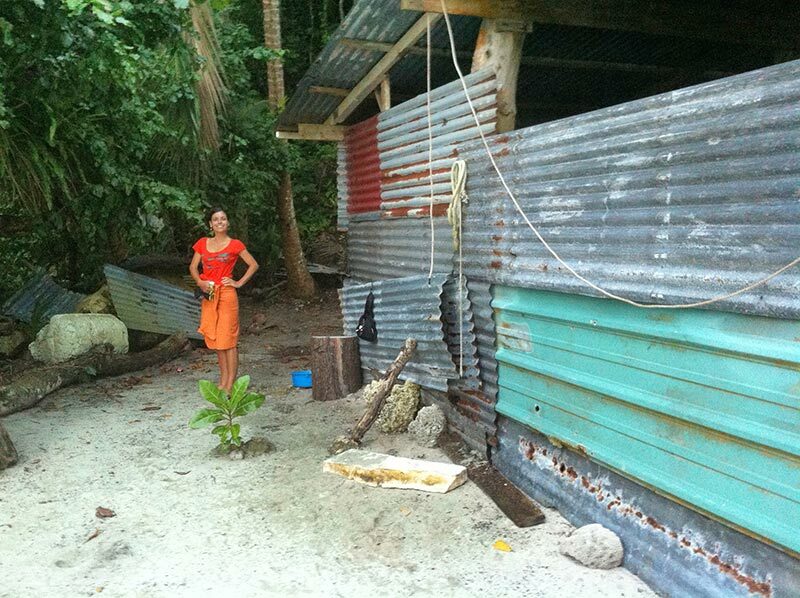 We stayed at DW Motel on the Island of Koror, the most populated of all the islands. The staff was a mix of Japanese and Filipino workers who were amazingly nice and hospitable. The room we had was very clean, comfy and safe. The bathroom was old but very clean. There was even a safe and a small fridge. 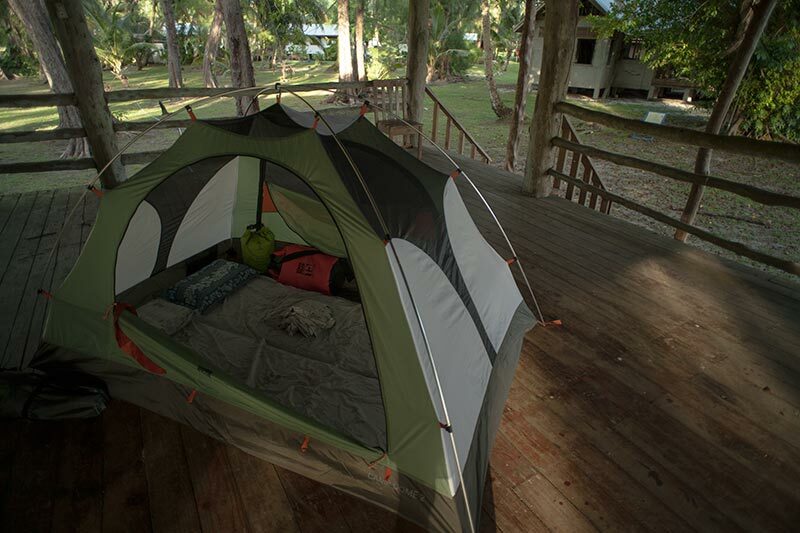 It cost us $70 per night. Exploration via kayak required a permit. It is a little yellow piece of paper that you need to have with you at all times and ready for presentation to patrolling rangers on boats. 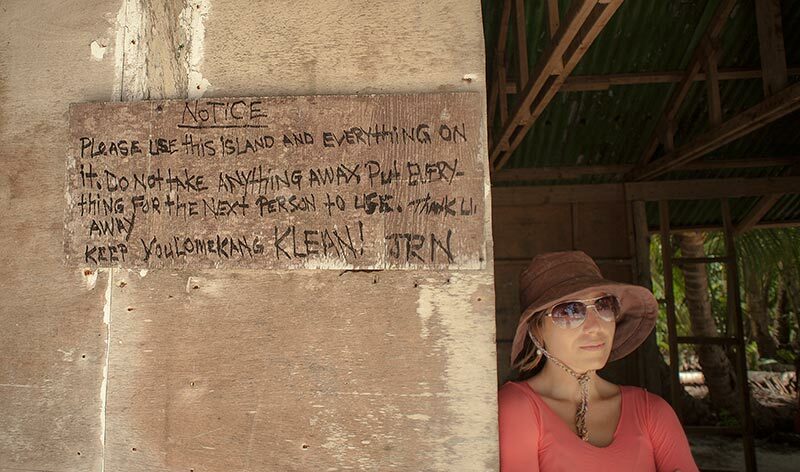 The locals are extremely welcoming and they always greet you with a "welcome and enjoy our island". A thing to keep in mind in Koror is the very slow, and most often, unreliable Internet connection. There are many cafes with free wifi, but their signals are weak. DW Motel did not have internet, so we had to purchase internet cards and got online through our iPhones. Koror is developed, it has restaurants, cafes, groceries, government buildings, schools, a police station, dive/excursion operators and modern infrastructure, yet, it is still the most isolated an exotic island destination that we have been to. Rangiroa and Bora bora in French Polynesia comes second. We got our kayaks (outfitted with container pods to hold our food and water, tent, dry bags, kerosene, matches, cooking kits and filming equipment) from Sam's Tours. They were easy to deal with and were organized and accommodating of our needs. Jaden, a guide with Sam's, brought us up to speed with our rock island itinerary. On the second day of our trip, we got caught in a storm during a 2 hour paddle, and got cold, and got demoralized about continuing on. Jaden, who guided another couple a day after we launched on our own, caught up with us and invited us to stay with his group for 2 days. In the evenings, he spent time re-building our confidence, and assured us that we could make it on our own. We are truly grateful for his generosity in kindness and time. He really helped us mentally to persevere and get to our final destination - Carp Island. Aboard the kayaks, we had 10 gallons of water (which we had to drink and distribute evenly through out the Kayak's haul to prevent uneven paddling), gatorade, eggs, dried fruits, energy bars, dates, fresh vegetables and fruits, rice, Spam (yes, Spam) and vienna sausages (as comfort food). We also had Kerosene for cooking and for the tiki torches which lit the campsites at night. We also had a laptop, 3 cameras, phones, Glidecam stabilizer, and Rhino Camera Gear carbon core slider. All protected in dry bags. Sam's also equipped us with solar shower bags and biodegradable soap to remove the salt residue off our skins at days end. Having the option to shower (twice during the 8 days) really helped our morale. Most of the islands we got on had campsites. Two sites had shacks which helped shelter us from occasional strong winds at night and from falling coconuts. If you ever visit this place, please leave no trace behind you and always respect the locals. Let's keep Palau pristine. - Many thanks, Paolo and Caroline of RUNNING LEAP PICTURES. Arwen Low downing a beverage while her monologue plays out. Quiet on Set! - Teaching cinematography to the young. Stella Altamirano-Lovejoy watches Romy T. Fima's monologe. A film set is hardly an organized, and stress free place, but I manage to work around it in cool composure. I attribute it to the time I taught filmmaking to kids with a lot of energy to burn. Left - Right: Romy T. Fima, Gabrielle Marchand, Coco Usher, Addison Grimmer & Nelson Holland. Although I have a natural inclination to teach, I have never done so in any official capacity, until in 2013 and 2014, an opportunity came about through Sabrina Reeves, actor, photographer, writer (and all-around fantastic woman/mother). She brought me in, Fée Fatale Studios, as a cinematography instructor to students who exhibited interest in operating a camera, a part of the curriculum of her children's acting class. Oliver Woodall shooting with a Canon 5DM2 monitoring through SmallHD's DP4 and running it on Rhino Camera Gear's slider on Redged Tripods. Noé Yasko behind the camera. Cinematography lessons were on Wednesdays. The class always started out with Sabrina and Anne (second acting instructor) subduing the chaotic energy, explaining the evening's agenda, and finally splitting the class into actors and cinematographers. In spite of their pinball-machine personalities, and split-second attention spans, these kids managed to retain the information, and camera operation techniques I taught them, and they always showed excited eagerness to shoot. On screen: Felix Banet - My Adolescent Crisis. Samantha Treville watching her monologue "The Plug". Left - Right: Coco Usher, Sabrina Reeves & Gabrielle Marchand. Back in 2012 (Yes we know this is many years behind) we worked with Vanessa-Reyes-Golding (Performer with Cirque du Soleil) to produce Metamorphosis, a performer show reel to feature Vanessa's skills in dance, silk work, character work and pole artistry. She was up at the crack of dawn for make-up and body paint, and endured several hours in a cold dust storm in the middle of the desert near Las Vegas, Nevada - what a real trooper Vanessa was, and kudos to the team that endured the cold, wind and dust with her. Please scroll all the way down to see the final work Metamorphosis on Vimeo. Vanessa running for the car while Director and DP, Paolo, grabs a clip, and make-up and body paint artist, Adolfo snaps a shot with his phone. Vanessa and Director and DP, Paolo, braces for the dust storm. Vanessa's Dad watches over the production. Make-up and body paint artist, Adolfo Barreto with green touch ups. Light Saver - Goal Zero on set. During Sebastien Lacombe's music video shoot for La Vie, Goal Zero's new Light-A-Life (powered by the Sherpa 100 and Yeti 400) saved the lighting set-up. The 350 lumens of these multipurpose outdoor lights provided just the right coverage and illumination to support the set of Arri lights we had on board. The magnets on the back of the lights and the adjustable hooks made it easy to rig them up where they were needed. The Sherpa 100 and Yeti 400 provided lasting power for the long 2 days of filming. Key Grip, René Arseneau, adding diffusion on Goal Zero's Light-A-Life to add fill lights for the talent. Singer, songwriter and musician, Sebastien Lacombe, with Key Grip, René Arseneau setting up the shot. Light-A-Life powered by the Yeti 400 and Sherpa 100. A portable video camera slider is an essential tool for independent filmmakers, and for small productions. For several years, Caroline and I hauled around a slider for all our assignments, and although it was a “travel-slider” (38″), it had heft to it, and required a protective case for long travels. Although it served us well, it was an absolute burden in long hikes in the wilderness and in urban treks. Many “portable” sliders out there do address size and weight “friendliness”, but when you factor in other gears that filmmakers-on-the-move are required to carry, and the distances needed to be traversed to get to locations, every ounce kept or removed makes a tremendous difference in helping limit or exacerbate fatigue. So we made it our mission to find a new slider. Waiting to rock the Pani GH4 on set in the Philippines. In 2014, while Caroline was in Singapore, I travelled to the French Riviera; it was the second location for a music video production, and it was a very welcomed second location indeed. I had shot most of the scenes in Montreal, Canada during the winter months, so it was nice to be in a warmer climate, palm trees, and Windex-blue waters, it is not called the Cote D’Azur for nothing. Looking over Villefranche in the French Riviera. The weeks after France, I hopped on the plane again, and took off to be with Caroline in Singapore. From there, we headed out to Palau in Micronesia, Cambodia, and Thailand. We mostly shot footage to help promote my work as a DOP focusing on travel, but we also got some video stock footage. An isolated island in Palau, Micronesia. Scoping out the scenery on a remote uninhabited island in Palau, Micronesia with slider over the shoulder. We also went to the Philippines to see my father, whom I have not seen in 18 years, and had no contact with for at least 7 out of that. This side trip, however, allowed me to get footage, and develop a little promo video (Day at the Pool) for a local swim team that my dad trains and coaches. Throughout my journey on planes, buses, Jeepneys, cabs, Tuk-tuks, tricycles, kayaks, speedboats, and on-foot, was the Rhino slider. It allowed us to capture incredibly stunning locations quickly because of its easy-to-set-up design. We felt like the folks over at Rhino read our minds, and implemented specifics tailored to us: light weight construction, weather robust, and design features that really matter; like built-in foldable legs and rubberized feet, which allowed us to finely adjust, position, and secure the slider between two columns in the Cambodian ruins. The slider also has knobs to fine-tune the fluidity of the carriage slide, multiple ¼” and 3/8” treaded holes that allowed us to attach a mini tripod to get vertical and diagonal slides. And the no-brainer – carriage brakes – which locked-off the slider and kept our camera safe while still mounted, and finally, a treaded bolt to attach a fluid-head onto the slider. Our first slider did not include these in their design; instead, we had to buy them separately. A young curious Cambodian boy looks curiously at the contraption. Running the slider at Marina Bay Sands – Garden by the Bay, Singapore. Also, being able to take the Rhino slider apart makes it efficient for packing and ideal to be in carry-ons. Weighing in at only 3.2 pounds, this slider is simply an awesome travel sidekick. It is also a cost effective slider ($425 USD) that does not skimp out on design, function, and built. Rhino; the company; really thinks about it users. They offer replacement roller wheels, rubber feet, and roller assemblies should you ever break or lose them. Personally, we always take precautions not to have to replace anything, especially when we are working, or out in remote locations. However, you can always order them, and have them in your bag as spare parts, just in case. You can also purchase a pulley, and counter weight bag for the slider. It mounts on the end bracket, and on the carriage for smoother slide action. Slider Carriage has tiny screw knobs to adjust the tension on the outer roller bearing wheels. Note: Our slider came with the original roller assemblies which came loose, and fell a few times (you can order the upgrade for $5 USD – for both outer roller bearing wheels). However, The new sliders now come with the upgraded roller assemblies. Happy filming and tread lightly.